While it may be warming up outside, your allergies may be suffering from this change in weather. 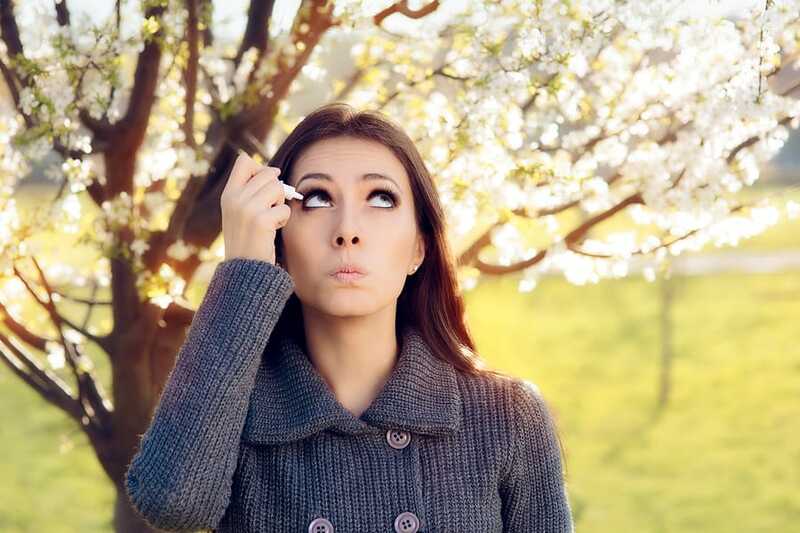 If your seasonal allergies have affected your eyes, take some advice from an optometrist and follow these simple tips to make sure that your eyes are in their tip-top shape! In Phoenix, it is common to have allergy reactions from trees and grass. Learn more about the following allergies. Over the next three months, the following trees will bloom in Arizona: Cottonwood, Palo Verde, Mesquite, Mulberry, Olive, Arizona Ash, and Sycamore. If you have noticed that your eyes are affected by any of these trees, make sure to take some allergy medication. Pollen can also affect your eyes. Pollen that comes from trees, flowers, and other plants may even get into your house, so it is important to keep doors and windows shut in order to ensure the health of your body and your eyes. Optometrists recommend that if you are allergic to pollen, you should make sure to remove any weeds and Bermuda grass from your yard so that pollen production is reduced. If it’s windy, stay inside. Pollen and other allergens from trees and spores can move easily in the wind, which can easily stir up your allergies and make them worse. Make sure to change the air filters in your house. This simple task can take a difference in the quality of the air that you breathe and that your eyes are exposed to each day. General spring cleaning is also a great way to reduce the amount of pollen and dust in the air in your living environment. Spring is the season of change and the season of allergies. Make sure to put your eye health first throughout the season. To learn more about allergy prevention, or to schedule an eye exam with an optometrist at Valley Eyecare Center, call (602) 955-2700, or visit our website.